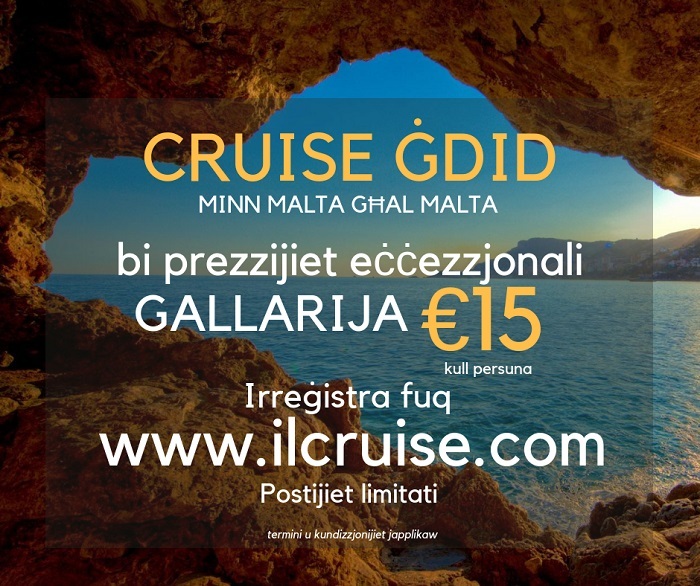 A new cruise will be introduced for the first time in Malta – MALTA TO MALTA – with a very cheap price of €15 for a room with balcony. Entertainment on the cruise ship will be completely in Maltese, with the participation of Maltese artists. Currently, one only needs to access website www.ilcruise.com, writes the name and surname, email address and will receive all the cruise details on Monday. Places on the cruise are limited and persons who insert their information will be given priority. More details will be forthcoming in the coming days. How did Victoria Beckham celebrate her birthday? Which organs are the Maltese ready to donate?